India Economic Strategy 2035 report was released in July, last month by PM Turnbull who commissioned Mr. Peter N. Varghese, Chancellor, University of Queensland to write this detailed report covering comprehensive themes, sectors and regions of India. This report will certainly be a credible reference for bilateral stakeholders to quote and catalyse initiatives that foster India-Australia relationship stronger not just economically but also in the areas of government engagement, social and cultural context. 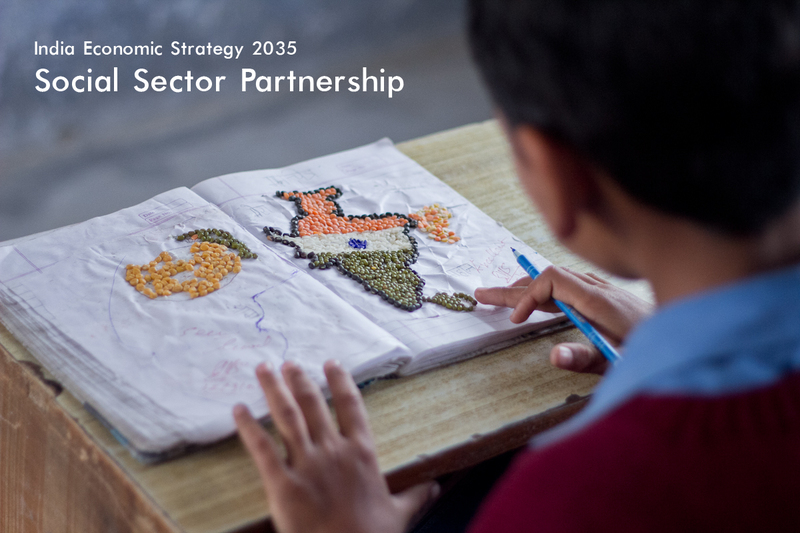 In addition to the sectors contemplated in the 2035 report, an important sector to consider is the social entrepreneurship ecosystem in India. It is inclusive to India’s growth path closing the gap of socio-economic inequity and Australia’s intent to be partner in that trajectory. This is where the thriving social entrepreneurship/ impact ecosystem in India comes in which includes social enterprises (private limited companies with social impact mandate) and non-profits (that are operational on entrepreneurship model) as part of the social/ impact sector. India hosts more than 150 credible impact ecosystem players that includes impact investors, philanthropists, incubators, accelerators, academic institutions, impact investment funds, R & D, innovation spaces and service providers. The number of players above don’t include government sponsored social entrepreneurship initiatives and Corporate Social Responsibility (CSR) programs which are growing in numbers. Indian social enterprise ecosystem is poised to attract over $8 billion in investment by 2025. Indian impact ecosystem players are prominent contributors to the Global Impact Investing Network (GIIN) shaping new tools and approach towards financing global sustainability and inclusiveness. The state and central government of India have become collaborators with Indian impact ecosystem across sectors. More about Indian social entrepreneurship can be found here and here from year 2012, currently we are witnessing more growth and maturity across sectors. The ecosystem has two major advantages in this underserved market and target consumers. First, impact organisations have a more nuanced socio-cultural understanding of its target consumers to convert as a market. Second, these enterprises have strong distribution channels in the interior regions of India, manage fractured supply chains and they innovate constantly across the business cycle. Australian businesses can see this as a partnership opportunity to enter this market. As the IES report specifically highlights sectors such as energy, health, agribusiness and financial services in the commercial business space, there is an under-served (not under-privileged) market of 100 – 300 million potential customers for Australian stakeholders. Energy sector is one example and French president Macron has capitalised it with the formation of International Solar Alliance with India (that also includes Australia as a member) pledging to invest over 700 million euros in this initiative. This alliance also showcased credible Indian non-profits and social enterprises in renewable energy sector for collaborations. This was not just a great bilateral economic alliance but also a diplomatic milestone for India and France. For Australia, Agribusiness and dairy industry in particular is a big opportunity in India recognised by Australian experts but have not yet explored business opportunities at a scale with Indian social enterprises. The article doesn’t highlight the conventional opportunities in exporting products from Australia to India but rather pertinent business opportunities of exporting technology, infrastructure products, capacity building, sector focused services in dairy industry. This is also applicable for other sectors such as health, agribusiness, water management, transportation and energy. Another prominent area where India can share invaluable learnings with Australian stakeholders is social innovation which could be considered as part of the science, technology and innovation chapter #12 of IES report 2035. 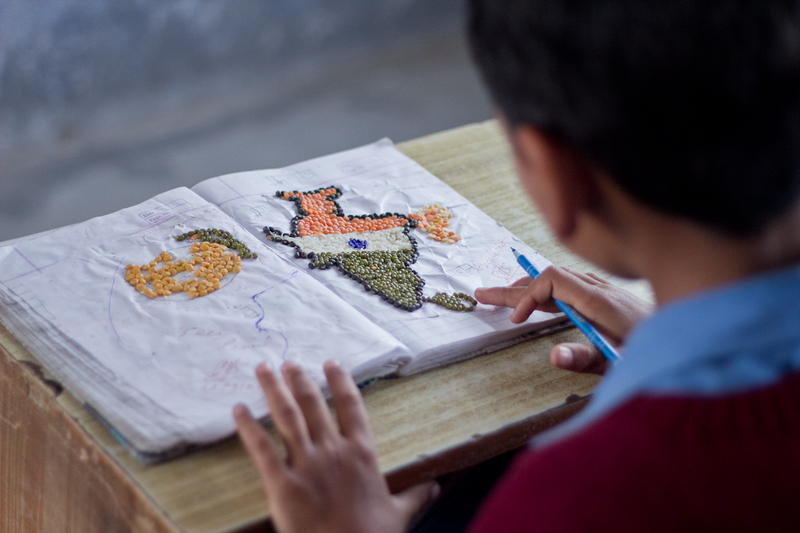 Indian academic institutions, social enterprises and non-profits have created impact-focused solutions in terms of design, cost-effectiveness, scale and innovation for an under-served market that can be applied to other developing countries. There are innovative Indian solutions in medical/ bio-technology, energy efficiency, infrastructure & material innovation and affordable technology products. This means, serving solutions that has a potential to reach 2 – 3 billion consumers globally and Australia can learn how to adapt technology, design and solutions that is affordable and scalable. Australian universities with social innovation programs can certainly benefit from this exchange. Hence, a concerted effort and platforms are required for Australian social sector and businesses to navigate for opportunities with the Indian counterpart in this growing sector and under-served market. It will help a mind-shift in the “traditional notion” of donor mind-set where India needs Australian aid rather than sharing learnings for mutual prosperity. Social entrepreneurship and innovation are not just strong areas for R & D collaboration, knowledge/ talent exchange, education centric learning but also an economic and trade opportunity for Australia and India. The impact of this sector on the bilateral collaboration is a diplomatic milestone of inclusiveness and shared prosperity in the Indo-pacific region.